Burger King’s plan to merge with doughnut chain Tim Hortons in Canada may be a bad sign for Southeast Asia’s rainforests. Both companies have come under fire from environmental groups for their heavy use of questionably sourced palm oil. Skyrocketing demand for the oil, produced from red palm trees, has pushed plantation owners in Malaysia and Indonesia to cut down large swaths of rainforest. Now, advocates fear that Burger King's plan to build the fastest-growing fast food empire in the world will lead to a marked uptick in the destruction. Palm oil is a vegetable oil used in everything from cosmetics to flavoring. Its popularity has soared since 2003, when the U.S. Food and Drug Administration began requiring manufacturers to list trans fats on nutrition labels and people started to eschew the unhealthy additive. More companies began turning to palm oil, which was believed to be better for heart health. Recent studies have suggested that the saturated fats in palm oil carry the same risk of heart disease as trans fats, but they haven't dampened palm oil's popularity. Burger King mixes it into its fry oil, and Tim Hortons uses it in its doughnut shortening mix and in specialty flavorings. Palm oil is pressed from red palm fruits. Though native to west Africa, 90 percent of the trees that produce the oil are now grown on huge plantations in Indonesia and Malaysia, according to the Rainforest Action Network. Palm oil sales jumped 485 percent in the U.S. alone in the last decade, and the boom has accelerated the destruction of rainforests in these two nations. The Indonesian government plans to convert 44 million acres of rainforest -- a land area the size of Missouri -- into palm oil plantations by 2020, according to a report by the Rainforest Action Network. By 2022, the U.N. 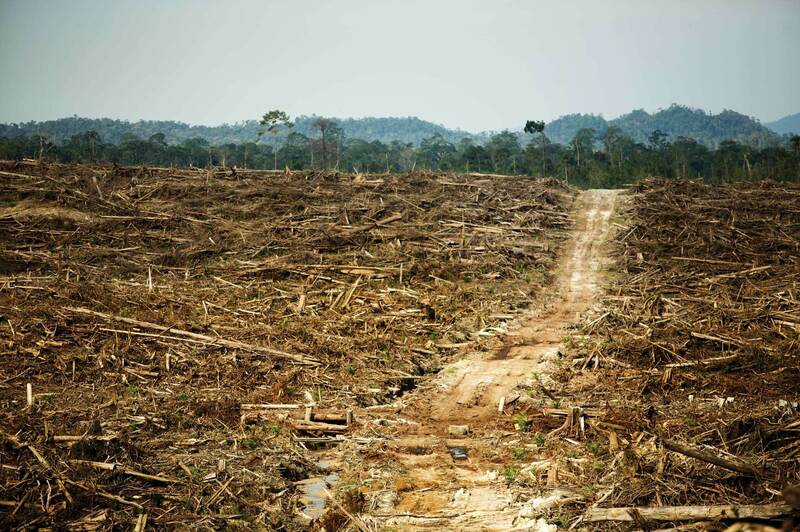 Environment Program estimates that 98 percent of forests in the country could be destroyed. 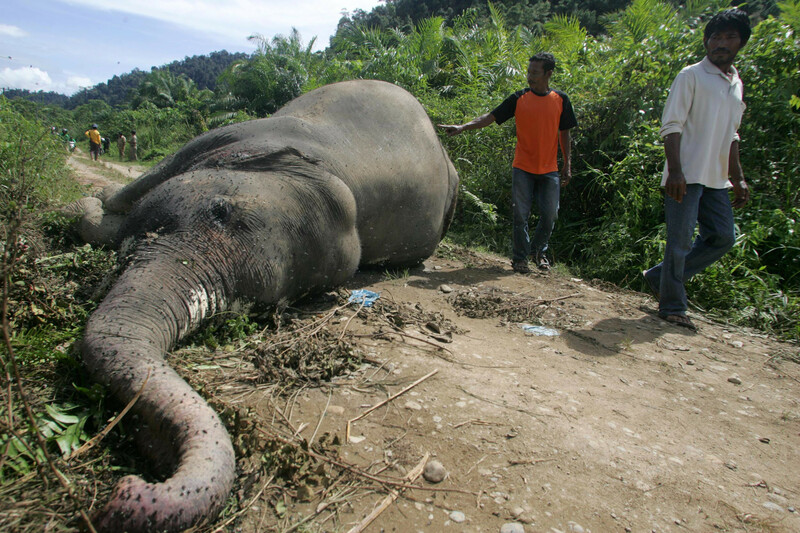 The industry's growth has destroyed the habitats of endangered orangutans, rare Sumatran rhinos and Sumatran elephants. (Fewer than 2,800 of the elephants still exist.) Indigenous peoples have also been forced, sometimes violently, off their lands. Numerous food and cosmetic companies, including Burger King, have sought certification from the nonprofit Roundtable on Sustainable Palm Oil. The designation means the company uses oil from plantations that limit deforestation and abide by human rights laws, but Laurel Sutherlin of the Rainforest Action Network said the effort falls short. An investigation by Greenpeace last year charged that rules set by the RSPO failed to prevent the rapid destruction of rainforest lands by fires. And the Union of Concerned Scientists has alleged that some GreenPalm certificates, granted by the RSPO to label eco-friendly palm oil, are auctioned off to companies that may not actually meet the standards. Environmental groups have repeatedly urged corporations to pledge to take extra steps to make sure they're using sustainable palm oil. Burger King told HuffPost the palm oil it uses meets RSPO standards. According to a disclaimer on RSPO's site, the organization has not independently verified Burger King's adherence to its criteria. Stefano Savi, a spokesman for the RSPO, did not respond to a request for comment. Tim Hortons did not reply to requests for comment either, but a June report by two wildlife nonprofits said the company hoped to unveil a traceable, sustainable supply line for palm oil by April 2015. “The fast food industry as a whole is pretty far behind other industries,” Goodman told HuffPost. Many packaged food and cosmetic companies have gone beyond RSPO guidelines to give extra assurance that their palm oil is sustainable, Goodman said, but many fast food companies have not. The timing of Burger King’s latest news may put increased pressure on already-stressed palm oil producers, Goodman said. “Palm oil is heading into its peak production season,” Ivy Ng, an analyst at the Malaysia-based market research firm CIMB, said in a statement. Palm oil is increasingly being used for biofuel throughout Asia, pushing the price even higher. And fears that El Niño, a periodic warming in the Pacific region, will affect crops this summer have put added pressure on Indonesian producers in recent months. As producers blaze ahead, clearing more rainforest to meet rising demand, Sutherlin said companies urgently need to adopt additional policies for using sustainable palm oil.